Ratu Jeremaia Coriakula, of Levukaidaku Village, Matuku, Lau, yesterday praised the Yellow Ribbon Pro­gramme. Ratu Jeremaia, who was in pris­on in the 1970s for manslaughter, said he wished the programme was there then. He said it would have helped re­habilitate many inmates as they tried to rejoin their communi­ties. Ratu Jeremaia was speaking at the Fiji Corrections Service CARE Network workshop for ex-offenders attended by village headmen from the Lau Province. It was held at the Novotel Suva Lami Bay Convention Centre. Village headmen in Lau Prov­ince attended. They were urged to accept and help rehabilitate ex-offenders returning to their villages after serving time in prison. Ratu Jeremaia said he was for­tunate because his village wel­comed him back with open arms and helped him to change. He said when he came out of prison he had gained carpentry skills which he learned while in­side. “After my imprisonment I went to my village, spent two years there with my wife and kids. 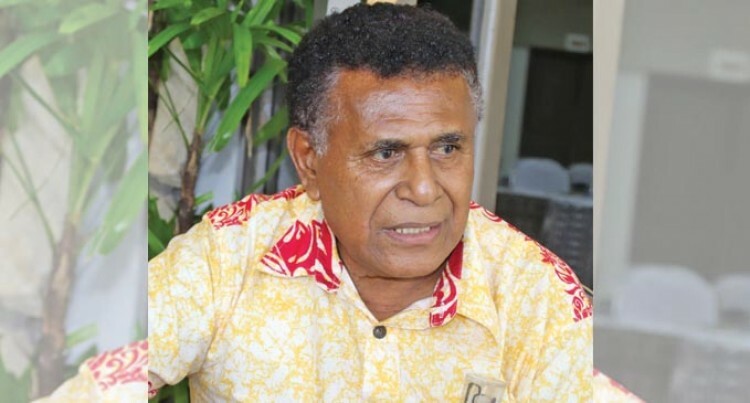 I came back to Suva to work in PWD,” Ratu Jeremaia said. He thanked the Fiji Corrections Service for the CARE Network for ex-offenders to give them a second chance to improve them­selves. Village headmen in Lau Prov­ince are attending a workshop in Suva where they have been urged to accept and help reha­bilitate ex-offenders returning to their villages after serving time in prison. He thanked the Fiji Corrections Service for setting up the CARE Network for ex-offenders for giv­ing them a second chance at im­proving themselves. Ono-i-Lau chief Waisea Da­vuiqalita said when ex-offenders were released their acceptance from their own village was im­portant. “This symposium is very im­portant in terms of rehabilita­tion for our young people,” Mr Davuiqalita said. He said the province fully sup­ported the initiative of the sym­posium. He believes that it was the re­sponsibility of all those in the village to support ex-offenders back into the village. Deputy Commissioner of Cor­rections Joe Kulinidilo, in his opening address, said the objec­tive of the symposium was to fo­cus on the rehabilitation. “Our rehabilitation programme does not end at the gate of the prison but continues at their homes,” Mr Kulinidilo said. Mr Davuiqalita said Lau record­ed the second-highest number of inmates in prisons with 118 inmates. The youngest is 18 years old, while the oldest is 84.